April’s compilation of soul and funk 45s includes an eclectic group of records discussing topics on both ends of the love spectrum. Starting out, we have a love ballad sung by Eddie McLoyd, followed by a track from female vocalist Rosalind Madison, and ending the list with Johnny Moore. 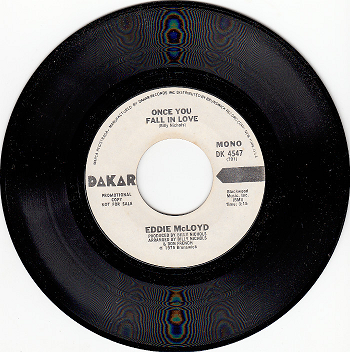 This month we start off with Eddie McLoyd’s biggest hit to date, “Once You Fall in Love.” Eddie is a bit of a renaissance man – having many talents and achievements over the course of his career including music, television, and outdoor hobbies according to his website. This 45 discusses how much influence love has on our life decisions, emotions, and overall happiness. Label Owners: Lelan Rogers and Shelby Sumpter Singleton. Nashville, TN. 1969-1970. 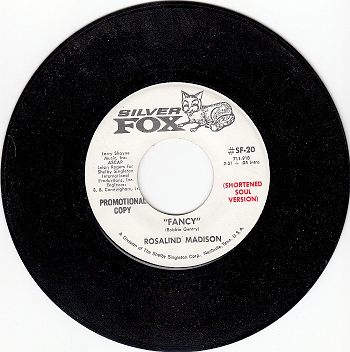 “Here’s your one chance Fancy.” Rosalind Madison resembles what some might consider a sugar baby on the A side of this 45. A young girl and her mother are hardly getting by and so the daughter is out looking for someone that can help support them. Listen to the track available below to see how the story ends. There’s definitely a bit of materialism and greed throughout the A side of this 45, but Rosalind sure has an impressive flow with her lyrics. Label Owners: Florence Greenberg. 1674 Broadway, New York, NY. 1650 Broadway, New York, NY. 254 West 54th St. New York, NY. 1959-1976. The final 45 for the month of April talks about the complications and challenges many people face during relationships. The narrator is feeling the pressure from his significant other and the driving chorus compliments this rising pressure felt by the narrator. You can expect to hear some classic funk rhythm guitar, impressive vocal harmonies, and groovy drum and bass from the A side of this record. While listening to these tracks be sure to write down the record number to make an easy checkout experience. You can use our secure form for all purchases. We will see you in April for next month’s list of records. March is here and that means spring weather is just around the corner. Open up your windows, feel the cool breeze, and let the blooming spring flowers tickle your nose all while listening to this month’s compilation of records. 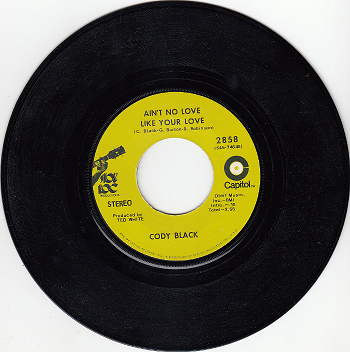 This month, Parker’s Records introduces you to soul artists Buddy & Stacy, Cody Black, and Bobby Breen. Label: Twirl 2018 (Released 1965). Label Owner: Harry Balk, 20 W. Alexandrine, Detroit, MI. & 850 Seventh Ave, New York, NY (1959-1966). Woo! This 45 grooves. Buddy & Stacy and their backing band know how to funk, swing, and get your hips moving. Buddy & Stacy were true entertainers and worth taking some time to watch a video or two. You may be surprised they were allowed on national television during the ‘60s with their provocative dance moves. Fun Fact: Jimi Hendrix was the backing guitarist for Buddy & Stacy for a short period of time. If you perform a Google search for Buddy & Stacy a video of Jimi playing with them will likely pop up. This 45 is irresistible. Ain’t No Love Like Your Love is a true piece of art. The opening piano rift is one of the catchiest syncopated chord progressions my ears have ever heard and the song stays driving with its tight shuffle groove. Flip the record over and you’ll find another delightful tune. For any piano enthusiasts reading our blog, this is a must have 45. Bobby Breen slows it down for us during this month’s list of our favorite 45’s. Breen began his career in the Canadian entertainment industry at a young age singing and acting in various movies including Hawaii Calls and Rainbow on the River. His voice is one of a kind and worth a listen. While listening to these tracks be sure to write down the associated order number to make an easy checkout experience. You can use our secure form for all purchases. We will see you in April for next month’s list of 45’s! Valentine’s Day: the holiday with a reputation more divided than our current political parties. For those lucky enough to have found love, February can be a great opportunity to go all-out on the sappy dates and romantic gestures. On the other hand, February is also the month many of us are reminded we are still single and should maybe put some effort into finding that perfect person. Whatever your relationship status may be, you are guaranteed to find something enjoyable from this month’s track list! Label Owner: Buddy Killen, Nashville, TN (1961-1979). February creates a sense of urgency in our dating lives. Take a look at the significant increase in consumers using mobile dating apps during the weeks leading up to Valentine’s Day if you don’t believe me. The A side of this record sings about the crazy and irrational things we sometimes do to find love. Sometimes we may even get a bit jealous, like when we see our 5th grade crush on Facebook celebrating Valentine’s Day with someone else. The B Side, “Part of Your Love,” touches on this theme. Label: Tip Top 2010. Released in 1965.
Who doesn’t like a good shuffle? For My Baby is guaranteed to get your hips moving. February is a great time to remind your special someone how much they are appreciated and loved. If you are spending Valentine’s Day alone this year give yourself some extra love and appreciation instead. A little reassurance can go a long way and if you need some help communicating your feelings, the Daylighters’ “Sweeter” might give you a few ideas. We go to great lengths for the people we love and Malcolm really hits the nail on the head with the A Side of this vinyl. Dodds’ catchy melody, repetitive chorus, and periodic rhythmic breaks make this song worth listening to. You’ll have to visit our store or purchase the vinyl to hear Side B! While listening to these tracks through the links provided be sure to write down the record number as you will need this when checking out with our secure form. We will see you in March for next month’s blog! This month we decided to take you on a bit of an emotional roller coaster. January tends to be the month people stay inside, spend more time by themselves, and reflect on their current relationship status. Check out this month’s tracks if you can relate or just want to learn some new music! Label: Chattahoochee 704 (1966). Whittier Blvd, Los Angeles, CA (1961-1966). You will sympathize and likely relate to Tommy while listening to “Move on and Stay Gone.” The vocal melody sustains and drags on during the verses, reflecting the struggle the narrator endures while chasing his great white buffalo. Longing for a particular someone but never being able to call them yours is something many of us have experienced. At some point, we have to move on, stay gone, and find someone worth our time. Come to our store to listen to Side B or you can order the record online! If you’ve ever wanted to let the world know you are feeling lonely, you should give Bobby Day a listen. Day’s shouting and the song’s driving bass line might be the kind of energy you need to get through this winter season. Spicks and Specks continues this month’s theme with Bobby singing about all of the women and memories he has left behind. Label: Cobblestone 701 (1968). 1650 Broadway, New York, NY & 610 Seventh Ave. New York, NY (1968-1972). This record leaves us feeling warm and optimistic- a resolution to our search for love if you will. The A Side, Under the Spell, discusses the narrator’s admiration for a particular someone and on side B the Burke Family helps the narrator groove his way into finding love. While listening to these tracks through the links provided be sure to write down the record number as you will need this when checking out with our secure form. Thanks for tuning in this month! Ahhhh, the holiday season. Everyone seems to be a little bit happier, we’re hopeful it snows, and we get to listen to our favorite Christmas tunes. Do you ever turn on the radio and feel like you’re hearing the same ol’ songs? Us too. That’s why we’ve pulled out some of our less-commercial favorites to spin this year. The funky deck the halls track is fit for any holiday gathering. It makes you want to get up and dance, to fully enjoy the holiday season. It’s a unique take on the song. On side B, you’ll have to order the record to listen! You won’t find any sound clips online. Slightly upbeat, soulful, joyous, loving. This record has everything you want in a couple of Christmas songs. Sit back and enjoy! Not all Christmas songs need to be booming with joy. A Christmas Carol makes gives a bit of a somber and reflective feeling. On the other hand, I’m gonna Miss You is funky and enjoyable to listen to. The subject matter however, offers a hint of sadness. 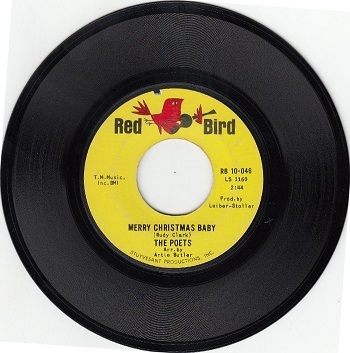 Whether you’re listening to 45’s, or the commercial classics, Merry Christmas and Happy Holiday’s from us to you. We truly appreciate you taking the time to read, and listen with us. We hope that 2019 brings you health and happiness, and more music! Thank you! As fall comes to an end and we enter the winter months, it’s good to have a special someone to push through the cold with. These 45’s cover that feeling of want, or even need. Everyone needs to be loved! 2 out of our 3 records this month were on labels that only released 3 records, giving them some rarity. Enjoy! Two great songs! The A side is a bit slower, while Say You Need It delivers a groovy baseline that will have you dancing through the holiday season. When a love is so good, you might just absolutely need it. Barbara conveys this, and the fact that even people tough to love are worth loving, on this 45. Persians-I Can’t Take It Anymore/Detour-GWP’s Grapevine 201. Released in 1969. 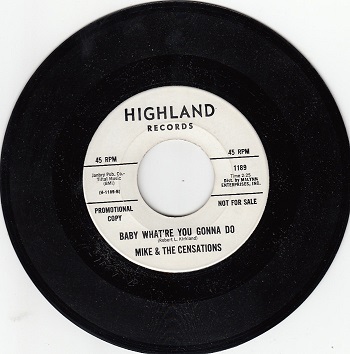 Owners: New York, N.Y. Only 3 records released on this label. 1969. You can count on The Persians to deliver some soul. Love has ups and downs, and sometimes it pushes us to our breaking points. If you’re feeling like that, you’ll enjoy the A side of this record. Flip to Side B, and the trials and tribulations of dating, or pursuing someone you think could be match. Sometimes you’ll do whatever it takes, even a round-about detour. Harriet Reeves-Just Friends/Come To Me-Eon 103. Released in 1961. Owners: New Orleans, LA. 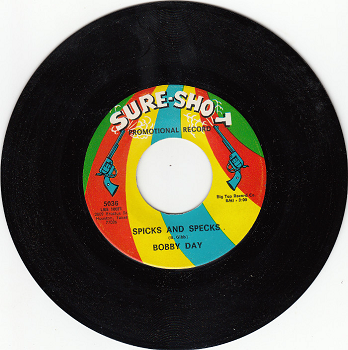 Only 3 records released on this label. 1961. This record is so rare, you won’t be able to find anywhere to listen online! Fortunately, we have sound clips on most of our records. Listen, and order online! After checking out all of these songs, order online! We recommend taking down the number, as you’ll need it in the form! Thanks for shopping with Parker’s Records and Comics! You can explore all of our 45's, here. Okay, so we’re sort of cheating with this title since two of the three 45s today are songs about doing a specific dance, but bear with us! We’ve put together a few songs that will be impossible—and we mean impossible—not to tap along to. Enjoy! “The Millionaires” or just “Millionaires” (another name this band goes by) might just be the most common band name ever. Because of that, good luck ever finding out any information about them. We did manage to scrounge up a little, though—enough to know that The Millionaires is made up of Milton Grier, Floyd Gibson, James Sturkey (who had a few solo releases—the only member of the group that did), and James Warren. Besides Sturkey, none of the rest went on to do much with music, which is a shame. “Breakdown” is a bit of a departure from the sorts of songs we usually write about. The lead singer has a higher, tamer voice than many of the other artists we cover. The whole tune has a sort of jazzy, big-band sound, which is only amplified by the brass solo in the middle of the song, as well as what sounds like a tuba in the background. We would still call it soul, but it definitely shows its jazz roots. “(I Never Know When to Leave) The Party” picks up right where “Breakdown” leaves off, and it begins with some meltingly sweet saxophone notes. The sax and lead singer’s voice are about equal in volume, which gives the impression that they’re both equally important elements of the song. Another fun bit about this song is that, instead of ending where you’d expect, it rises a key and plays on just a little longer. At first glance, you might be inclined to think that Gwindon is a woman. He is not. In fact, he has an incredibly deep, funky voice that suits his name perfectly. But like so many other artists we feature, this was his only release. Still, better to enjoy what we have than wonder what could have been! This is one of those songs that’s all about a dance. In this case, the title, “The Pearl,” refers to a dance of the same name. The whole song enthusiastically suggests that you should do the pearl, but it never actually tells you how to do it! It’s a shame, because the songs energy makes the pearl, whatever it is, sound like quite a bit of fun. It would appear that the dance is lost to the world, because searching for “The Pearl Dance” only gives you videos about people dancing to the Pirates of the Carribean theme. Seriously. “Baby Baby Baby,” on the other hand, isn’t available for listening anywhere. If you want to hear it, you’re just going to have to buy it! Nashville has always been “music city,” but it shares that name with Berkeley’s Music City, which is both a retail shop and music label. The shop was something of a local legend, and many of the tunes it put out are now sought after, particularly by northern soul aficionados. What’s most interesting about this 45 is that there’s no information about the band themselves. The name would suggest that it’s a mishmash of other artists who have performed on the label before, but the identities of those people seem to be lost to history. Despite being released in the ‘60s, “Do the Philly” has a very ‘90s R&B sound to it. Considering the roots that R&B had in jazz, funk, and soul, this isn’t altogether very surprising. Like “The Pearl,” “Do the Philly” is all about a song that nobody knows how to do anymore. Still, it’s fun to listen and imagine what that dance might be. Fact is, more relationships do have an end than don’t. And if you’ve ever been in love, you’ve probably also known the feeling you get when things don’t work out the way you’d hoped. You might also know how silly you feel when you look back on good times with a sad perspective. Well, that’s exactly what these records do. One side is all sunshine, but the other is after (or during) the time when things come crashing down! Label Owner: Henry “Juggy” Murray. 271 W. 125th St, New York, NY. 725 Riverside Dr, Suite 4C, New York, NY. 265 West 54th St, New York, NY (1957-1970). Johnny Darrow (whose real name is John Darrel Moore) is a big name. He is perhaps best known as one of the lead singers of the Drifters, which he joined as a lead vocalist in 1955 (though he did not ascend to lead singer until 1964). Darrow was born in Alabama, moved to Cleveland, and ended up in New York, where he met the Drifters. Darrow (and the rest of the Drifters) relocated to the UK in the early 1970s, but their most popular hits came about while they were in the states. 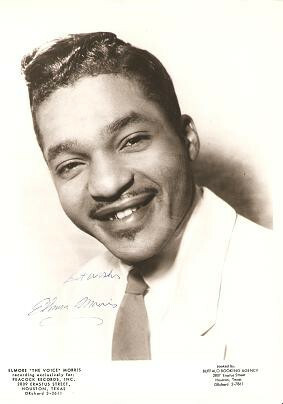 Darrow was inducted into the Rock N’ Roll Hall of Fame along with the rest of the Drifters in 1988. We’ve seen various online sources indicate that the A and B side of this record should be reversed. 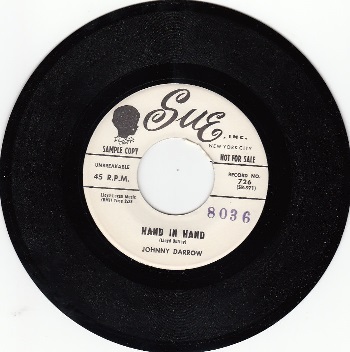 However, our copy has “Hand in Hand” as the A side, and that’s what we’re sticking with. Johnny Darrow sounds remarkably like singer Sam Cooke, and not just because of his voice—both singers utilize violins in the background that give their music similar feels. Nowhere is this more apparent than Darrow’s “Hand in Hand,” where he sounds like a smoother, lighter Cooke. But Darrow is more than just a discount Cooke; he holds his own in this song, which sounds surprisingly modern in its progressions. As the title suggests, this song describes the bliss Darrow experiences when walking hand in hand with his sweetheart. “Why Do You Treat Me This Way” begins with a bassline that has always reminded me of a galloping horse. Whatever romance Darrow has in the 45’s A side, it is gone by the time the record is flipped. Rather than walking hand in hand, Darrow laments over the mistreatment and abuse he receives from his former lover. With lines like “I should have known all along that you would treat me this way,” it’s hard not to wonder if the feelings described in “Hand in Hand” were ever really there at all. Label Owners: Robert Eaton and Benjamin Knight, 11825 Hamilton St, Detroit, MI (1966). Devotions wasn’t around for very long. In fact, this record here is the only one they ever recorded. Devotions, not to be confused with The Devotions, is a 3-woman group from Detroit, if YouTube is to be believed. Otherwise, there’s no information about them or their members anywhere out there. Whatever they did with their lives after this, we can all be thankful that they left us with these songs, right? 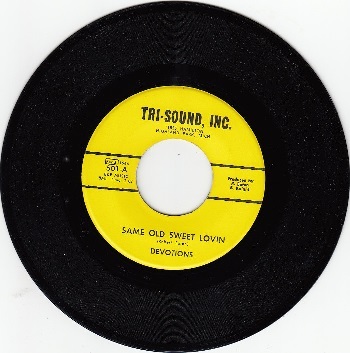 “Same Old Sweet Lovin’” starts in a different place than Darrow’s heartbreak progression 45. Rather than love-heartbreak, this one follows a departed-together path. In this song, Devotions sing after their departed lover, telling them that their love still burns hot for the departed if they ever change their mind about leaving. Despite the desperation that his premise dregs out, the song is surprisingly upbeat and resilient. It seems to say “no matter how badly you treat me, I’ll always be myself.” Additionally, the song features a xylophone where a piano would normally be, which gives the song an almost childlike quality. 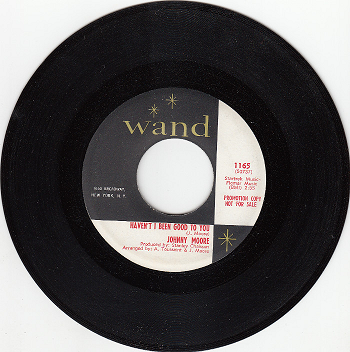 “Devil’s Gotten Into My Baby,” as the name would suggest, takes place before the events of “Same Old Sweet Lovin.’” The B side of this 45 seems to chronicle the events shortly before the couple’s split—not that there’s much to tell. Apparently, before he left, the significant other was completely fed up with the singer, saying things like “woman, shut your mouth and do the things that you’re told.” Despite the somber topic, the song still have the xylophone backing it that seems to make it pop. “Here we Go Baby” is your typical love song. The heavy bass and snare drums in the background give this song a much bluesier feel than the other ones in this article, which makes sense since Johnnie & Joe are primarily an R&B group. At first listen, “The Way You Go” seems like it will describe a lover in the process of leaving. However, give it a closer listen, and you’ll realize that it’s about the pair singing about the other’s less-than-perfect romantic habits. The title of the song could be rephrased to say “what your preferences are” and the title would be just as descriptive. What’s interesting about this song is that it describes being left by a loved one, but it does so through the perspective of the one not being left. Lyrics like “Hey Joe, don’t it get you down / How you spread yourself around runnin’ all them women down.” Another key feature of this song is that Joe’s voice is about as rough as gravel. You’ll like it; give it a listen.